There is a difference between being “alone” and feeling “lonely.” Today in the USA there is 72% loneliness. 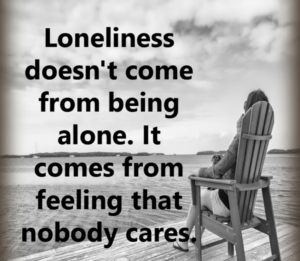 We have all experienced loneliness. Loneliness comes from feeling nobody cares about us. It’s easy to get into this place when we are “isolated” from people and always in front of our phone and computer screen. Technology is NOT people. Technology cannot make us feel loved. Scammers prey on people that are lonely. They are skilled at making people feel loved and cared about because they stay in touch with their victim throughout the day and talk sweet words of love. They actually become like a drug to the victim. But, the real truth is just because a scammer is there for you, doesn’t mean he or she cares about you. All scammers ever care about is “MONEY!” Scammers are masters of deception and illusion! 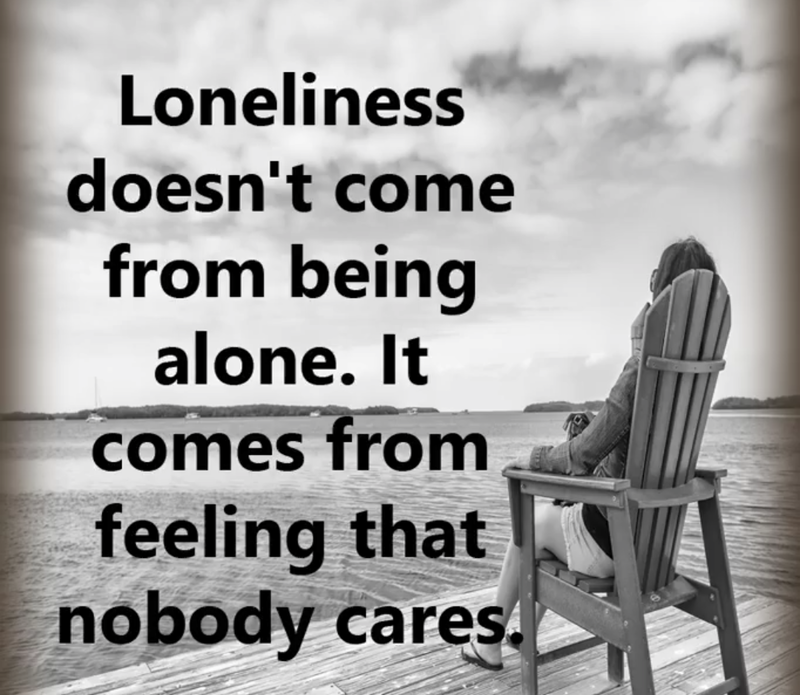 They prey on the vulnerability of loneliness. You are NEVER alone because Jesus said, he will NEVER leave you or forsake you! HE loves you more than any human can, and HE is the lover of your soul. You can ALWAYS count on HIM! Please be careful of letting yourself feel lonely. Get out of the house and get around people!